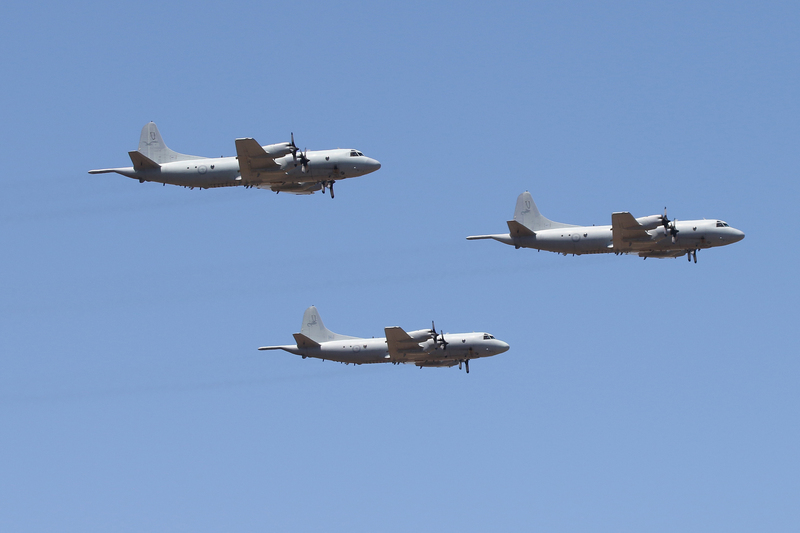 RAAF AP-3Cs A9-661. A9-662 and A9-752 performing a flypast over the Adelaide area on 30 November 2018. Aircraft seen here in formation near RAAF Edinburgh.